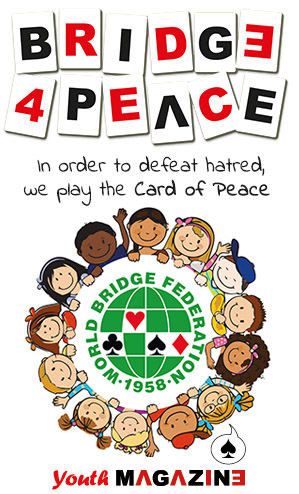 Under the leadership of José Damiani, the World Bridge Federation developed a teaching programme to assist teachers and provide a resource for them to use freely when planning a series of lessons. b) to teach children to enjoy playing bridge and make them want to go on playing among themselves. The time devoted to mini-bridge has been reduced to allow introducing simple bidding notions. Bridge is a game: children shouldn’t consider bridge lessons as just another school discipline; the few indispensable theoretical notions must be transmitted interactively, cards in hand. This is why in the teaching programme we suggest a certain number of short exercises to be done within a few minutes cards on table; they will have to be prepared beforehand. For each session, four easy hands are proposed; however they might still be too difficult for some of your pupils; don’t comment them for too long, but just focus on the hand objectives, encourage any kind of initiative and always keep in mind that what’s the most important is that children play.